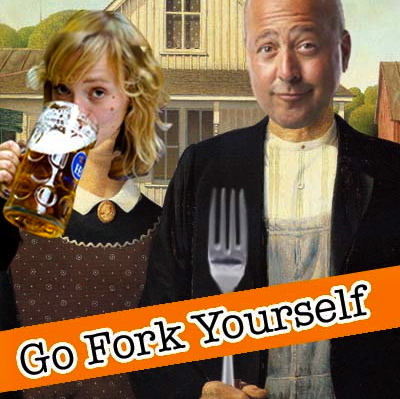 In May, we decided to take a short hiatus from the Go Fork Yourself Podcast. Our dear producer, Beth K. Gibbs, left the nest to follow her passion. We’re excited for her, but she leaves big shoes to fill. Andrew, always an optimist, said we’d be back up and running by the end of June. Molly thought that seemed a bit ambitious. After all, great producers don’t just fall off trees! Here we are, almost July—how’d that happen?—and no new episodes. Luckily, our amazing community led us to an incredibly talented producer. Like us, she has big, ambitious plans for GFY 2.0. We’re taking the summer to retool and finesse Go Fork Yourself. You can expect brand-spankin’ new episodes of GFY after Labor Day. It’s going to be awesome. We know it’s a ways off, but it’ll be here before you know it. In the meantime, keep up with Andrew here at AndrewZimmern.com, and on Twitter, Facebook and Instagram. Stay connected with Molly on her blog, HeyEleanor; her Hey Eleanor podcast, Instagram, Twitter and Facebook. Thank you for your understanding, and for continuing to support GFY. We appreciate it! Have a fabulous summer, and as always, go fork yourself.